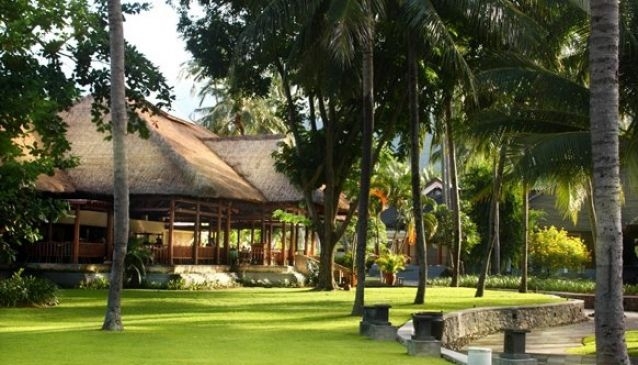 Nusantara Restaurant is the main place for a spot of breakfast here at The Santosa Villas, a modern and family friendly resort in Lombok. Located in central Senggigi, Nusantara serves up a range of international buffet breakfasts from 6.30am until 10.30am. As well as the principal breakfast spot, Nusantara is also where the major banquets such as functions and gatherings take place. The casual eatery is surrounded by beautiful, lush greenery and tropical trees, creating a lovely setting for this relaxed restaurant.